Each of the three original museums has a unique collection. 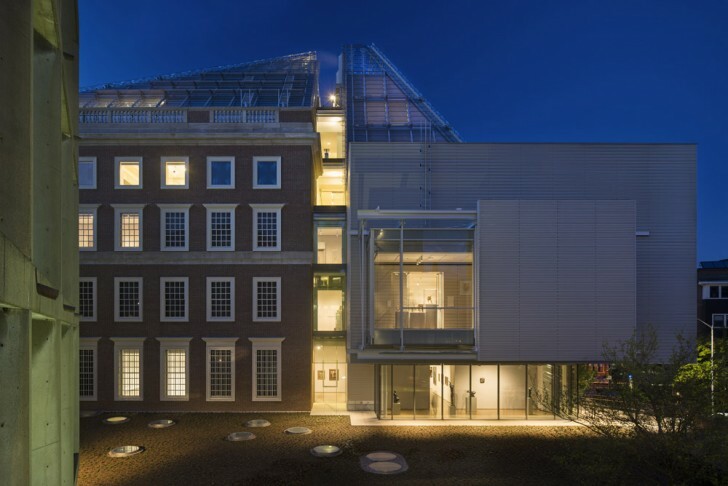 The Fogg Museum is known for its extensive holdings of European and American art; the Busch-Resigner Museum, the art of central and northern Europe; and the Arthur M. Sackler Museum, one of the most significant collections of Asian art in the West. The total of all three collections is approximately 250,000 pieces, but space constraints only allowed for display of 1 percent of the collection. In 1999, when the idea of creating a new building was first put forth, the architect Renzo Piano was engaged to design it. The intention was to build a new facility in a different location. 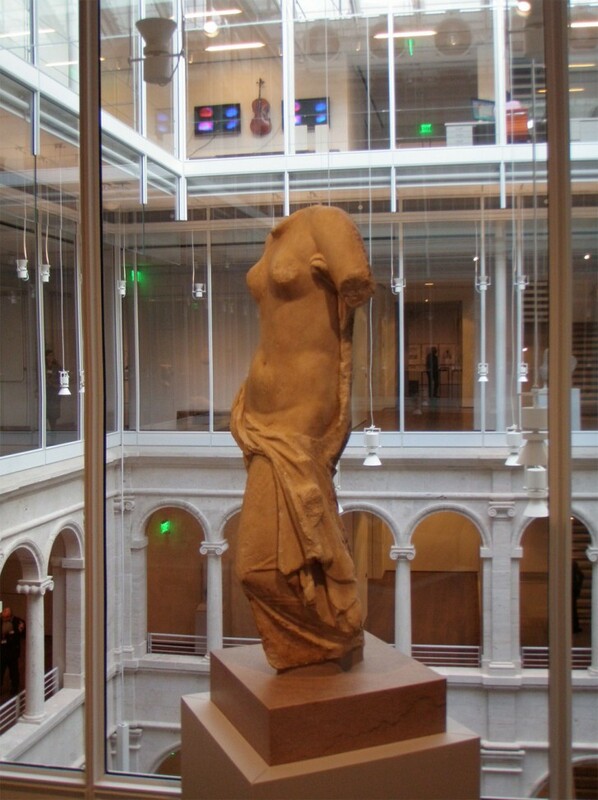 However, after two false starts, the plan became to renovate and build an addition to the Fogg Museum. At the center of the new addition is the Calderwood Courtyard, freely accessible to the public. When entering from either Quincy or Prescott Street, there is no longer a need to step down. The floor has been raised to one single level. Architectural capitals from ancient Europe and Asia are displayed along the walls, mirroring an Italian piazza, or city square. 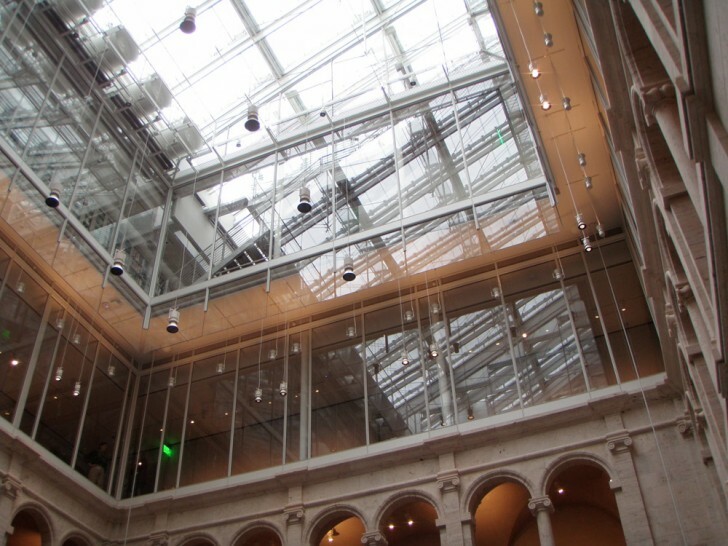 Five levels above, a glass ceiling, referred by Piano as the “Light Machine,” allows natural light throughout every gallery, visible from the courtyard. “We hope that visitors who come through or cut through will be arrested by not only the beautiful architecture, but by the beautiful works of art, and that curiosity will lead them into different pathways into the building,” explains Deborah Martin Kao, chief curator of the museums, when asked by ArtsEditor. These different pathways lead to three levels dedicated to the display of art, several educational spaces, and conservation labs. The artworks are displayed in such a way that they reflect the identity of the three museums, yet invite us to compare periods and styles. “We’ve maintained the museum’s separate identities and have brought each one into more active dialogue with one another,” said Lentz. One such vehicle for comparison is the Lightbox Gallery, itself a work of art. Located on the top level of the building, the striking construction is visible both inside and out. Standing here, we clearly see what Renzo Piano describes as “a stratification, an overlap of spaces and services that proceeds upwards towards more specialized functions.” Large windows provide a magnificent view of Cambridge, Boston, and beyond. Glass doors thinly separate visitors from staff in the Straus Center for Conservation and Technical Studies, the oldest conservation lab in the United States, working to repair pieces from the collection. One level down is the Forbes Pigment Reference Collection, featuring over one thousand pigments in floor-to-ceiling cabinets arranged from red to indigo. The tools of historic and contemporary conservators are exhibited side-by-side. Jessica Levin Martinez, head of the Division of Academic and Public Programs, feels that seeing conservators at work and the tools on exhibit demonstrates the connections between art and science. This connection is further illustrated when interacting with the Lightbox Gallery’s digital wall. Chris Molinski, curatorial fellow in the Division of Academic and Public Programs, explains, “The space is fitted with a powerful set of high-resolution displays and projectors. Each of the displays is tied together to create one continuous surface, a tremendous arena for technology-driven programs.” The wall, coupled with the museums’ web site, allows access to the entire collection. Size and perspective of pieces can be manipulated on the display, which brings objects together for comparison, conversation, and inspiration. 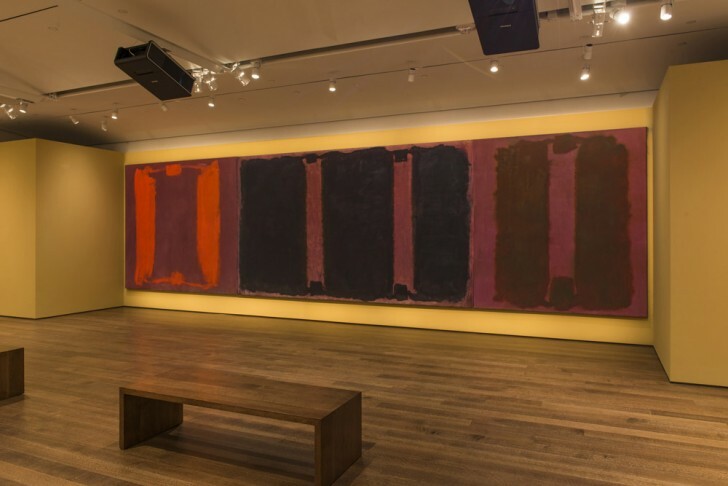 The Mark Rothko murals on display in the Special Exhibits Gallery offer another glimpse into the science of art. 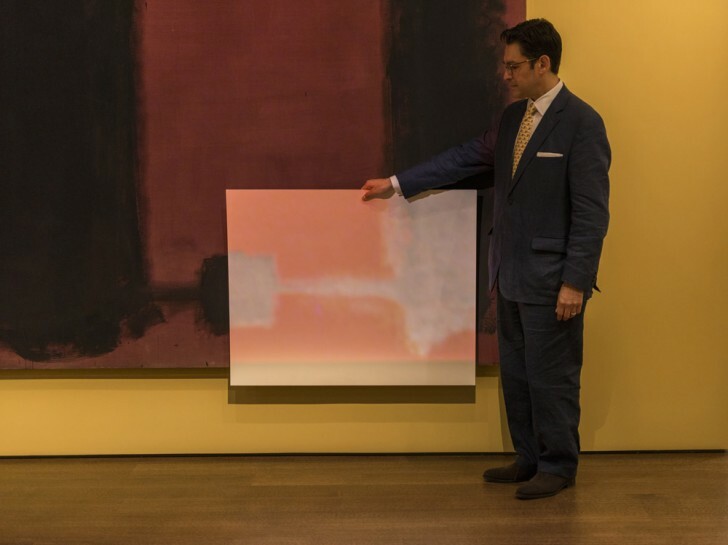 Installed in Harvard University’s Holyoke Center in 1964, the placement of the paintings exposed them to high levels of natural light, causing the pigments to fade dramatically. After fifty years in storage, Harvard conservators began to investigate the damage and determined typical conservation methods were not feasible because the size of the fade patterns required large quantities of correctional paint, which would eradicate the artist’s original image. The solution to their problem came in the form of digital technology. A camera and projector system using custom software compares the current mural with a historic photograph. The colors in the photograph are used to create an image that compensates for the fading, which is then projected onto the murals, essentially becoming a digital “pigment” that closely approximates how the murals appeared upon their completion in 1962. The impact of this technique becomes clear when the projectors are turned off, revealing the faded originals. In the abstract art gallery on the first level, the 16mm film Walking in an Exaggerated Manner Around the Perimeter of a Square by Bruce Nauman has been converted to blu-ray disc. A computer projects the piece onto a wall, and it is further enhanced by the sound of a 16mm projector running, which combine to simulate how the film was experienced when it was initially released. The four University Galleries exhibit the intersection of art and education. Consisting of the Research, Teaching, Study, and Collections Galleries, they are programmed by faculty from departments ranging from history to music. In the Study Gallery, Rembrandt etchings stand on easels amid other artworks atop tables, inviting student interaction. White gloves and magnifying glasses are available for close examination. In fact, most of the works in the museums’ collection can be brought to the gallery upon request for a close examination by any visitor. Pieces like The Sin by Edvard Munch and the woodcuts of Albrecht Dürer are displayed as source material for students from the Ethical Reasoning 37 class Adam and Eve. 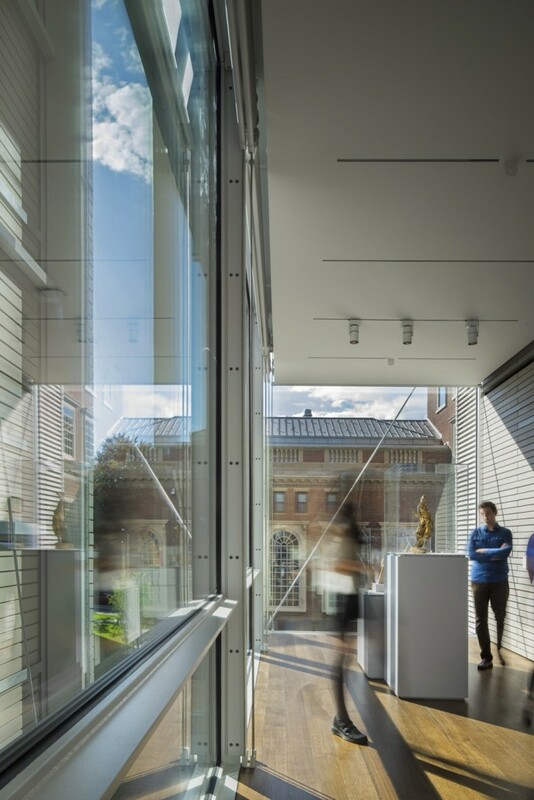 According to Martinez, allowing other visitors into these galleries affords them a look at the courses Harvard University has to offer.